Asp (Aspius aspius). The Myllyvuolle area of Lake Rautavesi in Vammala is one of the best asp spots. 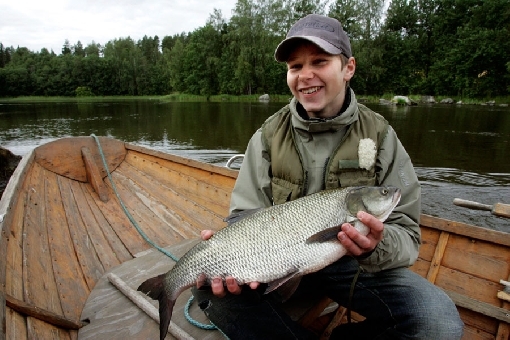 Previously extremely endangered, asp can now be found in a few fishing grounds in Southern Finland. Asp are predatory cyprinids. They are fierce fighters and tug on the line like salmon. Asp are pursued on rapids and torrents. 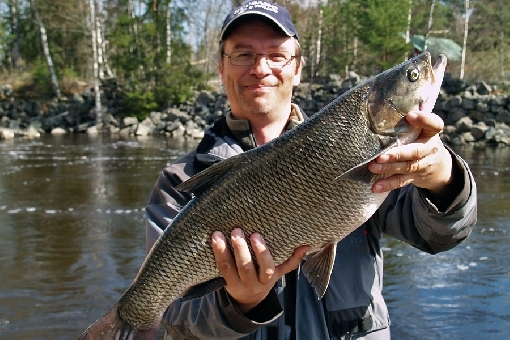 The asp fishing season on rapids and streams coincides with their spawning period in May. 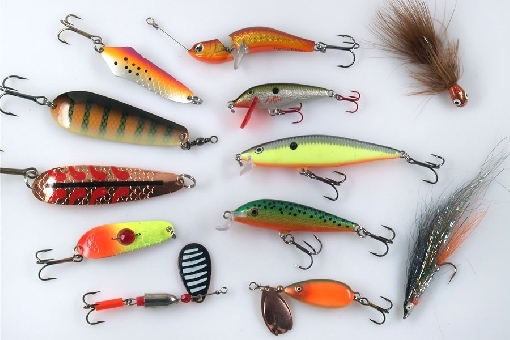 On torrents, the best season starts in late June, when asp can be caught with plugs, spoons and spinners. In streams, the fishing season continues throughout the summer. Flies and jigs also provide good catches. 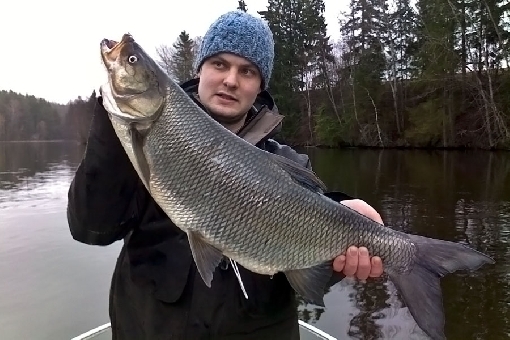 Asp prey in the surface waters of mid-lake areas, where late summer and early autumn are the seasons for trolling. What makes asp fishing so fascinating is their habit of preying during evening hours. When an asp all of a sudden splashes its big tail right into a school of fry, a weak-hearted angler would do well to stay away. A typical feature of asp fishing is that even if you see the whoppers splashing deceptively in different parts of the stream, they are extremely difficult to grab. On some evenings, however, the fish bite in earnest and your catch may be royal. Giant asp. Siuronkoski Rapids, Nokia. Asp often feed only at sunset, but sometimes the fish can be ready to feed at any time of the day. 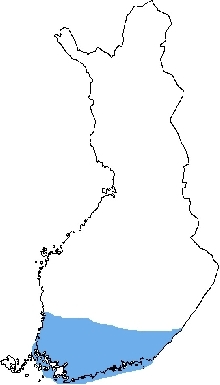 Great asp fishing sites include the Siuronkoski Rapids in Nokia, Lakes Kulovesi and Rautavesi, River Kokemäenjoki and its tributary Loimijoki, the Kuokkalankoski Rapids in Lempäälä and River Kymijoki.